Happy Star Wars day! If you didn't already know, May 4th is observed as Star Wars day because you know, may the fourth be with you. Get it? Of course you do...you're reading a Star Wars blog. Anyways! 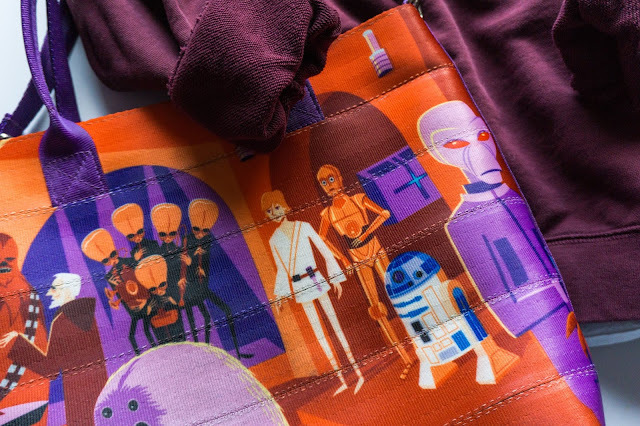 My friend Ashley, founder of fangirl fashion brand Her Universe, sent me a sweet package earlier this week including a couple new items that she designed. The two pieces she sent were made to be worn together, but I thought it would be fun to style them separately. 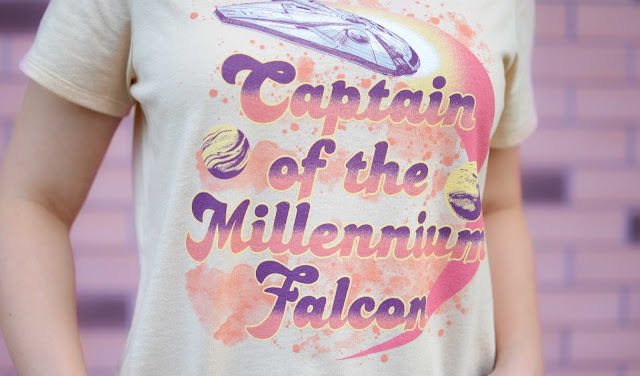 Today I'm wearing the new "Captain of the Millennium Falcon" shirt. 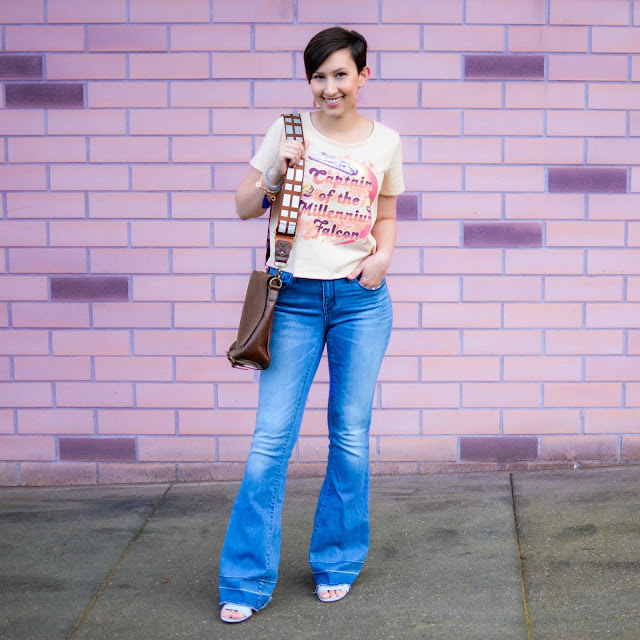 You don't have to twist my arm to get me to break out my favorite pair of dip-dyed flare jeans. I scored this denim at Target last year and love to wear them on occasions when I want to add a little bit of 70's flair to my outfit. The shirt is inspired by Solo: A Star Wars Story and features the brand new Millennium Falcon on the front. I absolutely love the colors of the print on this tee. 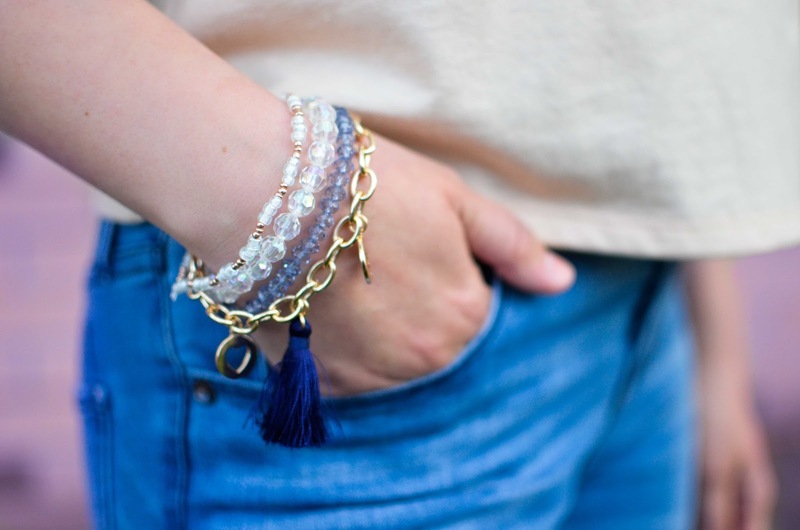 The coral and purple tones are very fun and easy to style around. The tee is a light peach color and has a slight cropped fit. 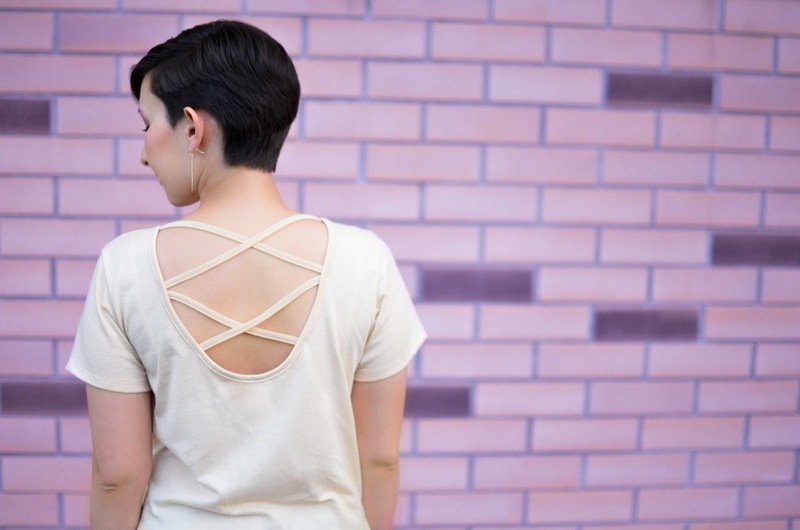 My favorite part is the back detail- a strappy cross-back adds a little bit of extra oomph to a regular T-shirt. Also, for my ladies out there who are probably wondering, you can wear a normal bra with this shirt. Unless I pulled my shirt down really far, my bra didn't show through the cross-back cutouts. Score! 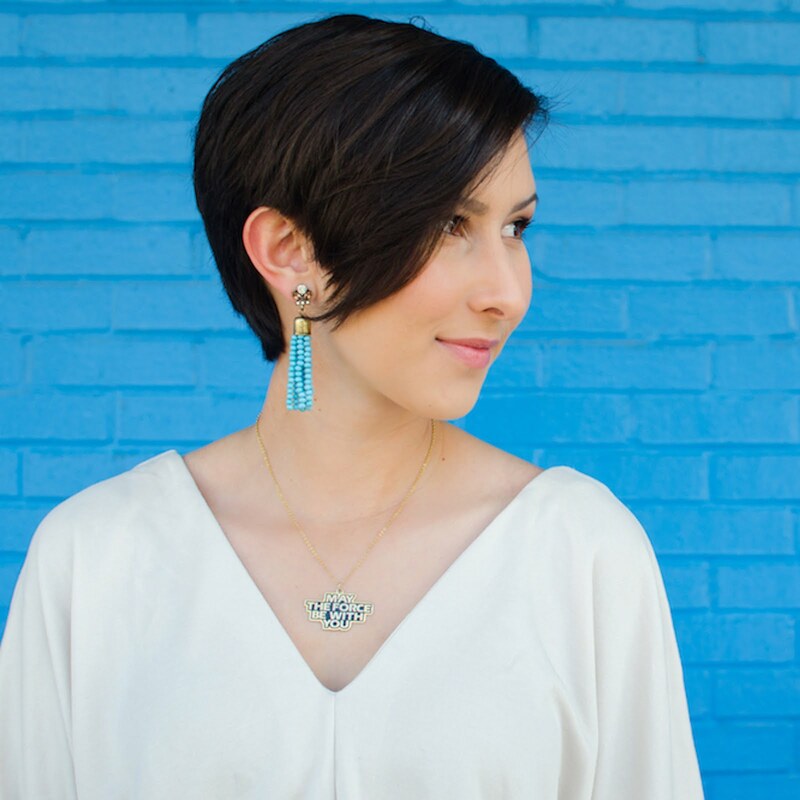 Along with the flare jeans, I added my favorite pair of dangle beaded earrings, a few beaded bracelets, and some powder blue pumps to this look. 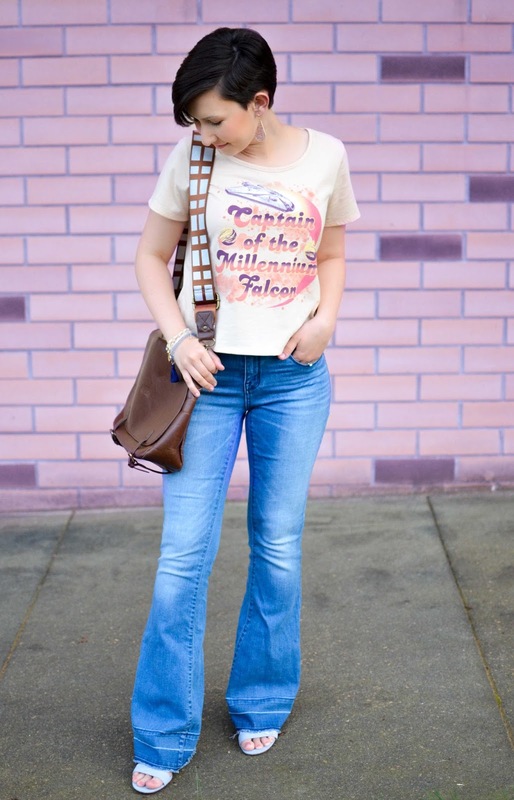 I finished it off with my favorite Chewbacca messenger bag because a girl always needs to have her co-pilot around! How are you celebrating Star Wars day? P.S. Don't forget Solo: A Star Wars Story tickets are on sale today! Cute outfit! I personally don't like how flare jeans look on me so I never wear them. I love the shirt, it's so cute and the colors really are great!